Ceramic incense burner hand made in Nepal, with different size holes to accommodate incense sticks and doop. In several cultures, the frog is a symbol of fertility. It represents the moon in the Eastern Culture of China and thought to bring prosperity and healing. 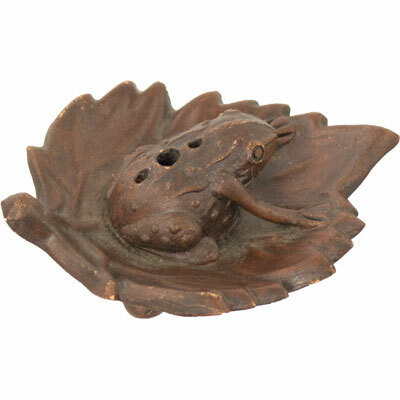 As a totem, the frog represents protection for children and brings pleasant dreams. This incense burner is 1.5 inches in height, 4.25 inches in length, and 3.5 inches in depth.